We offer a variety of Classes and enriching activities throughout the week. Explore opportunities for spiritual education and fellowship with like-minded folks on this page and on our Calendar. We offer three groups meeting at different times and facilitated by different leaders each week. These informal, interactive classes are open to the community. Please join us at one or all of these groups. Each class is beneficial, whether you attend once or regularly. The Combined Volume of A Course in Miracles is available for purchase at a discount in Awesome Books, our on-site bookstore. Love offering for each class. Every Sunday in the Sanctuary, 4:30 – 5:20 p.m. Facilitators are Eddie Lee, John Hamilton, and Victoria MacCallum. 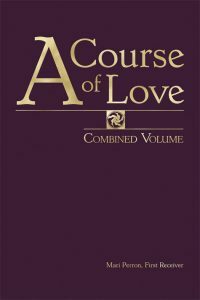 What is “A Course of Love?” It is a curriculum designed to help you understand who you are. It is about radical acceptance of yourself. It restores your right to live freely. To live from Love. To embrace your power. To create a new world. “A Course of Love” is about expressing who you are. It is a course for the heart. A birthplace of the new. This class is open to seekers interested in exploring ways of greater self discovery and actualization of the Christ within. 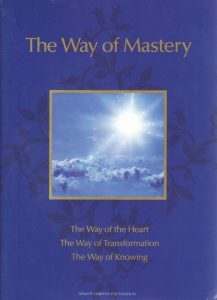 The Way of Mastery has three sections: The Way of The Heart, The Way of Transformation, and The Way of Knowing. We will be starting with The Way of The Heart. Our on-site bookstore Awesome Books! has copies of The Way of The Heart if you would like to purchase one before attending the class. We enjoy snacks and fellowship at 5:30 and then the class begins at 6:00 p.m. Led by Eddie Lee. A love offering is gratefully accepted. This gathering is designed for those new to meditation as well as experienced meditators. Everyone is welcome! We focus on mindfulness of breath, mindfulness of the body, of emotions, of thoughts, and mindfulness of the mind. Led by Jonathan Hunt. We have significantly more positive energy if we are in alignment with the Mastermind – God, our Source. When two or more people coordinate in a spirit of harmony and pray toward a definite objective or purpose, they place themselves in position, through the alliance, to absorb power directly from the great storehouse of Infinite Intelligence. We hold Sacred Space and pray for one another each week, in confidentiality, toward the demonstration of specific manifestations.